In the past year the Building a Better Nottingham programme has seen a number of new homes completed across the city, as more than a hundred are on their way up. 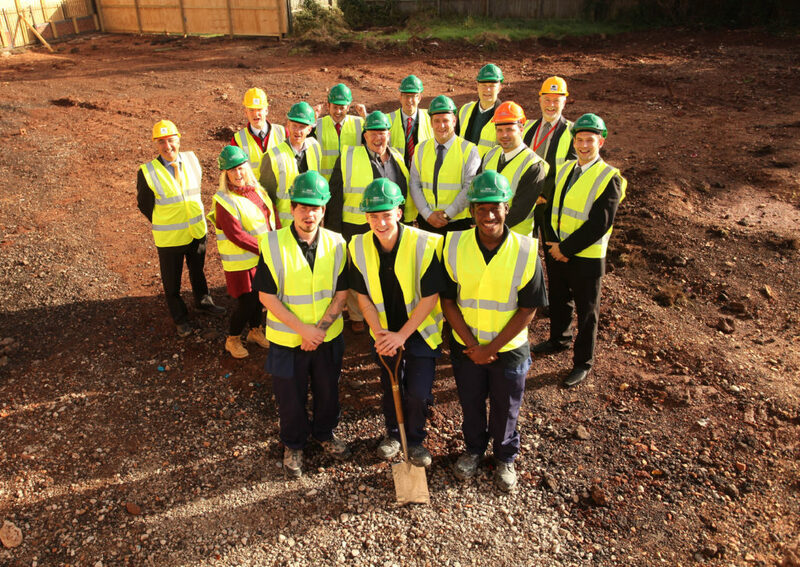 Since October 2013 Nottingham City Council (NCC) and Nottingham City Homes (NCH) have built brand new homes at sites in Sneinton, Bestwood Park, and Clifton, as work has begun on a further 106 in Lenton and Radford. Running in tandem with the new-build project is the demolition of older unfit buildings, with three sixteen-storey tower blocks being razed to the ground since this time last year. With just two left to go, the city’s skyline is seeing dramatic change. The latest project to get underway in the city is in Broxtowe, where two former council homes (more recently the site of a community resource, which has been relocated) have been demolished and Notts construction company, Woodhead, has started the building work on four new bungalows. Woodhead will be using apprentices and tradespeople from social enterprise scheme, BEST (Broxtowe Education, Skills and Training) across the road. Site managers and experienced trades-people from Woodhead will be on hand to guide the trainees, providing them with valuable site ex-perience, as well as sharing their skills and knowledge. The trainees are not the first to benefit from the overall Building a Better Nottingham housing pro-gramme. Since it started in early 2013, more than ** local people have worked on the programme, with ** apprentices getting the opportunity to work on a new build site. It is estimated that so far, for every £1 spent on the £55m scheme, £1.75 is reinvested back into the community, through the use of local labour, training opportunities and investment in the local supply chain – with some phases completed by Woodhead achieving up to100% of labour, plant and materials being sourced within 20 miles of the sites. Cllr David Liversidge, portfolio holder for housing and community safety at Nottingham City Coun-cil, said: “I have watched as this scheme has progressed so dramatically over the past 18 months, with not just vast changes to the landscape and skyline across all parts of the city, but with the transformation of communities. The four bungalows being built by Woodhead on Denton Green will provide much-needed energy efficient homes for older or vulnerable people, who need single storey living. Nick Murphy, Chief Executive of Nottingham City Homes, said: “The Denton Green site is one of our smaller developments, with just four new homes in comparison to the sites of more than fifty just down the road in Lenton and Radford. Work on site in Broxtowe is expected to be complete by Spring 2015. Mark Maisey, the Delivery Team Leader at Woodhead, said: “We are delighted to be working with Nottingham City Homes again following our completion of the first phase of the programme in March this year.